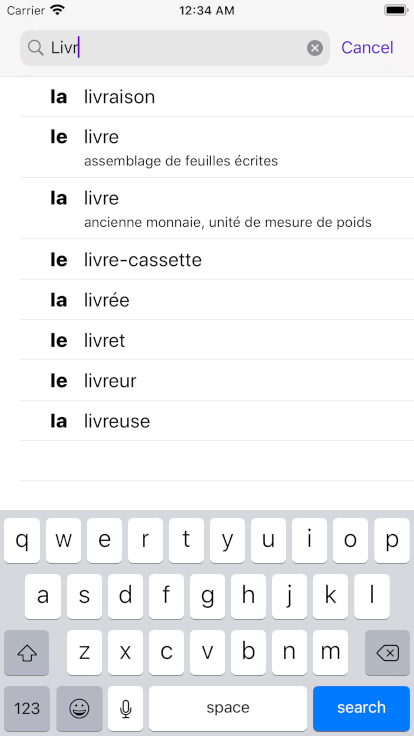 Looking up the article ('le' or 'la') of a French noun on your iPhone, iPad or iPod touch has never been easier. 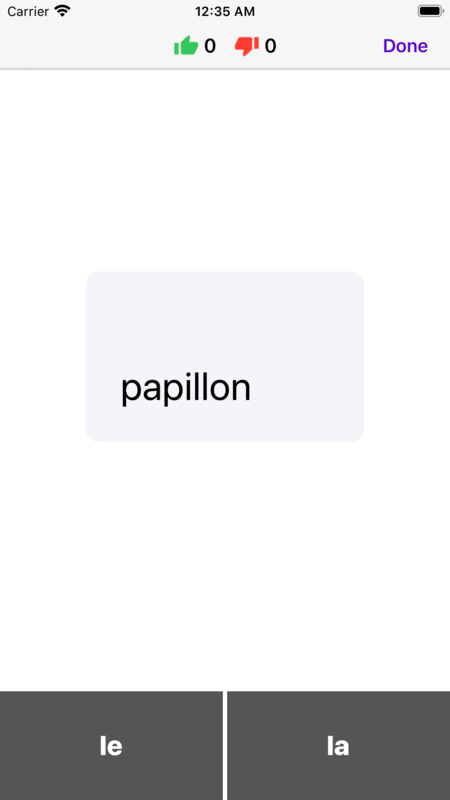 Just type the first few letters of a word and see the article immediately. 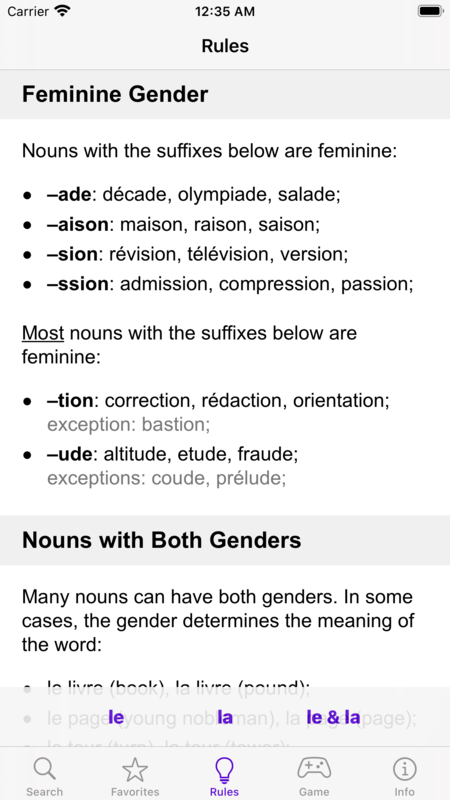 Le La app also contains a handy summary of rules and guidelines for determining the articles of some categories of French words.